As a Professional Makeup Artist, I always have to make sure that all my tools especially the brushes are clean before I use them on my clients. 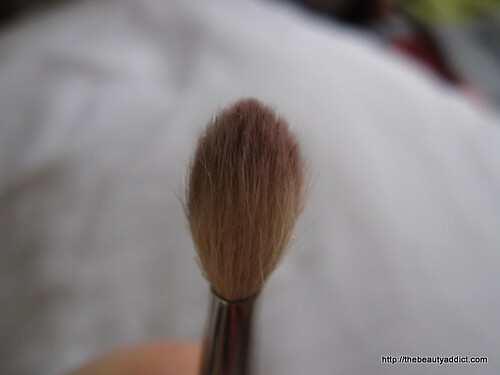 I usually clean my brushes using a DIY brush cleaner. However, there are times where the number of faces to do is more than the brush sets I own haha. That's when I use a quick drying brush cleaner. I ran out of my MAC Brush Cleaner which I find good but takes a little while to dry. 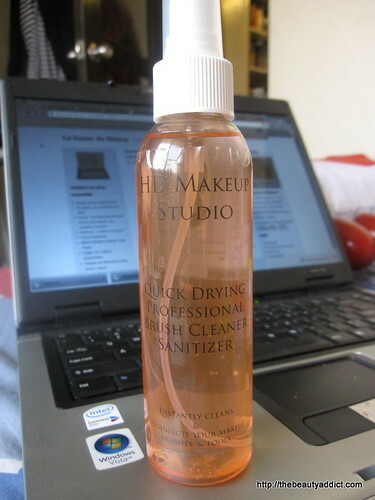 So I decided to try what my classmates in makeup school have been raving about: The HD Makeup Studio Brush Cleaner. Color completely off the brush after 6 sprays. - It dries SUPER QUICK! After wiping on the towel, count 1-5 and it's dry instantly. 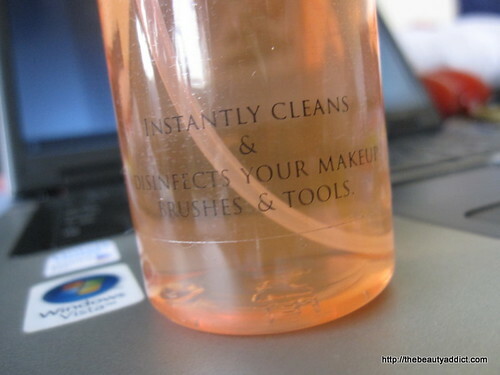 - The spray bottle is very convenient to use. 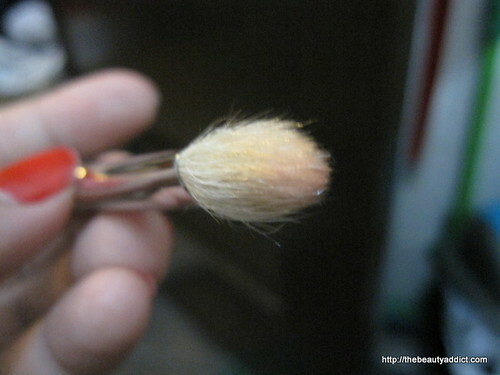 Spray it directly to the bristles and it won't ruin your brush handles. 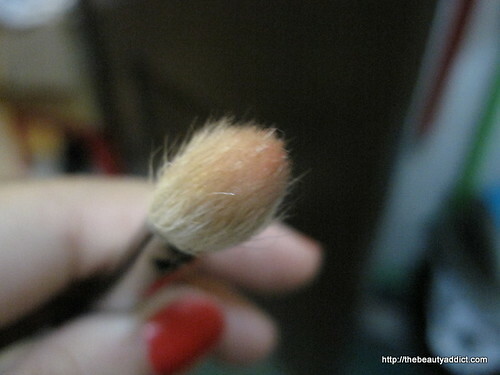 - My brushes look conditioned after cleaning with it. Smooth and shiny! - I also use it to clean my other tools: plate, spatula, airbrush gun. - Orange scent. I think the pink scent is faced out. But I'm glad it doesn't smell like alcohol so this is tolerable. - Ingredients not indicated in the packaging. Overall, I'm really satisfied with this brush cleaner. I haven't tried many but I like this better than my previous one. It cleans brushes and tools well and it's really quick drying. I recommend this to all especially to my fellow makeup artists. 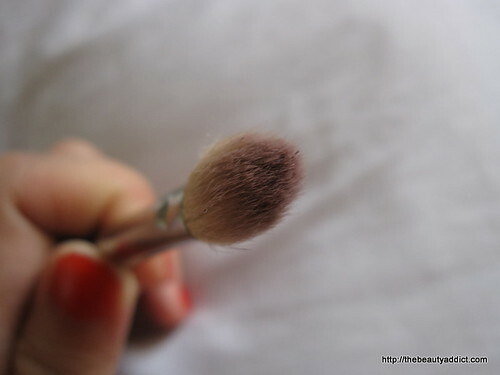 You won't have to bring too many makeup brush sets anymore. 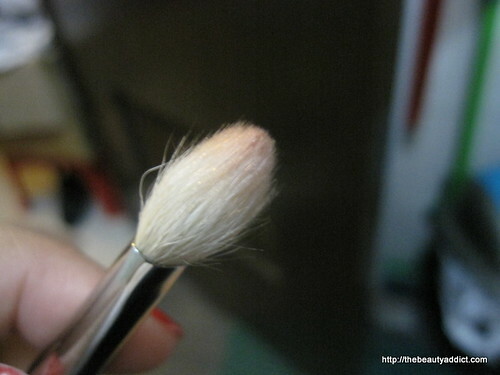 Just spray and wipe off the dirt of your used brushes and they're ready tPost Optionso use again instantly. LG5 Cityland Tower Ortigas for P300. lifestyle, mommy and food blog. hi! i read in your blog that you studied in HD academy, did you enroll in any other school before HD? i am planning to enroll also but right now im thinking twice, (what if business won't be good) :-( do you have experience in make up services before enrolling in HD? thanks and i would really appreciate if you can reply to my queries.. God bless!